La Tórtola Valencia was one of the most famous dancers of the early twentieth century, playing a crucial role in Spain’s modernist movement in the arts and literature known as “the generation of ’98”. La Tórtola Valencia introduced a more natural, intuitive, and sensual style of interpretation, in sharp contrast to the more raucous, cabaret style dance that had become popular. She earned the respect and adoration of both the elite and the masses alike, elevating Spanish dance to the category of “high art”. 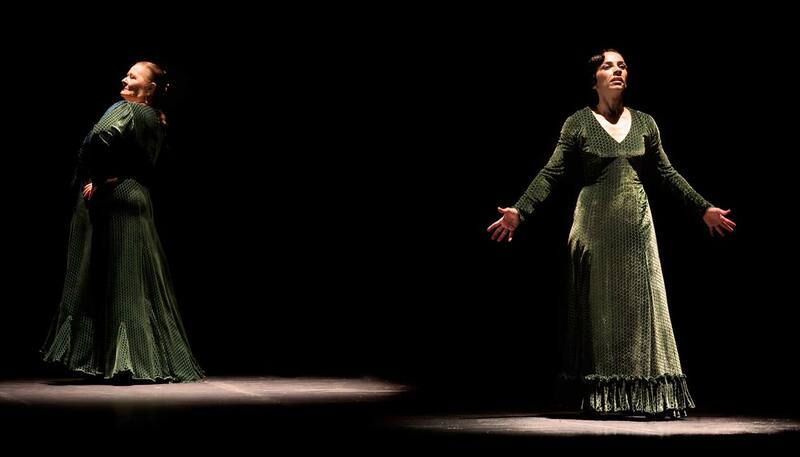 In “La Tórtola Valencia”, teacher and student — the venerable Matilde Coral and her protégé Isabel Bayón — come together to remember this incomparable artist. They do so not by mechanically reconstructing her life and work, but rather by living her legacy and celebrating the ongoing mystery of La Tórtola Valencia’s art form. To the initial shock of “respectable” society, La Tórtola Valencia abandoned the traditional long, heavy dresses covered with layers of flounces and ruffles, and chose instead to adorn herself with gossamer fabrics that revealed her bare legs, simultaneously highlighting her femininity and allowing her a full range of motion. 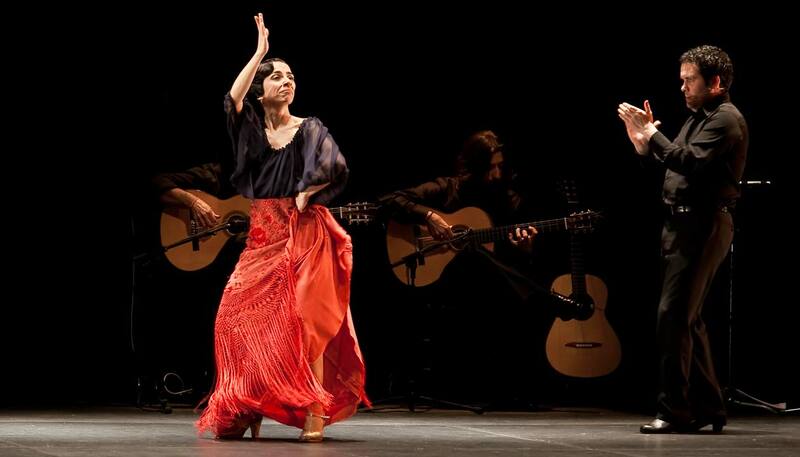 Particularly expressive with her eyes, face, and upper body, La Tórtola Valencia relied on rapidly changing poses and graceful movement to evoke a deep emotional response in her audience. The artistic risks undertaken by La Tórtola Valencia forever changed Spanish dance in general, and revolutionized dance for Spanish women. La Tórtola Valencia uniquely embodied the spirit of the age, inspiring the finest intellectuals, artists, writers, and poets to create during her lifetime more than 150 poems, laudatory essays, and other artistic works in her honor. Initially, she toured Spain, Europe, and Latin America extensively. However, at the peak of her career, World War I and the political instability that followed made worldwide touring impossible. As a result, much of the dance world today knows little of her formidable legacy. It is vital to preserve the memory of all those who have gone before us, smoothing the way to our own success. On a personal level, La Tórtola Valencia’s courage and risk-taking resonates deeply within us. On an artistic level, we honor her style of interpretation — acknowledging the power of the subtle and sensual over technical virtuosity and crass showmanship. On a spiritual level, particularly as women, we are deeply indebted to La Tórtola Valencia.